Triple check the files you are submitting to your mastering engineer. Be sure that the mastering engineer is receiving the actual final approved mix files. I know this sounds silly, but I can’t tell you how many times I’ve sent a master to a client, only for them to realize I was not sent the correct final mix file to work from. Humans make errors. Computers do strange things sometimes as well. If an incorrect file is used for mastering, it’s not always an easy change to “pop in” the correct file, no matter how small the change. 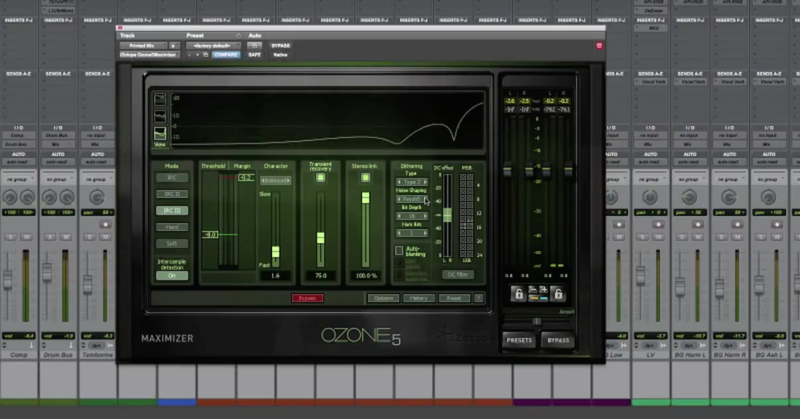 Depending on the mastering engineer’s workflow, it could mean redoing a lot of work. Don’t use the word “Final.” Avoid using the word “FINAL” in your mix titles. Stick with version numbers. It’s somewhat concerning getting a mix file with the suffix: FINAL REAL FOR REALLY FINAL. Whether it’s mixing or mastering, I find that sticking with a simpler numeric naming scheme makes things easier for everybody involved. Song Title V1, Song Title V2, Song Title V3 etc. is much easier to manage, reference and verify. Check for ticks. Be sure that there are no issues like ticks, pops, plugin glitches, drum trigger misfires, or other unwanted noises audible in the mix files. Things like this can be less apparent or obvious in a quieter (less hyped) unmastered mix, so listen closely in a good listening environment before sending files off for mastering. It’s not uncommon for a client to tell me they hear a noise or problem that “wasn’t on the unmastered version,” only to go back and find it on the unmastered version with careful listening. When making an unmastered mix louder in the mastering process, things can be exposed that were undetected or less of an issue before mastering. Headphones are a great way to check for these types of issues. A good mastering engineer can use software tools to remove most unwanted noises, but it’s best to prevent anything like this from existing before sending off to mastering. Another common situation is receiving a file where the final sustain or reverb tail is abruptly cut off. When this happens, I either have to wait for a new file before proceeding, do an abrupt fade out, or superimpose an ending using a reverb to give the illusion of a natural decay. Always check your bounced files to make sure nothing has been cut off. A few seconds of room/equipment/tape noise before or after the song can actually be helpful for the mastering engineer. (See #5). Check the vocals. I believe that vocal tracks are often the biggest cause of ticks/pops and other anomalies that tend to become more present after mastering. I strongly suggest listening to the vocals isolated (no music) and cleaning up any unwanted breaths, headphone bleed, and other saliva/mouth sounds between vocal phrases that may become distracting or unwanted in the final master. I spend a lot of time scanning songs for mouth sounds and other ticks/pops that seem to get exaggerated after mastering and removing them. It’s always appreciated when this is taken care of ahead of time. It may not seem logical, but if you have some excessive hiss or equipment noise before a song or as the final note decays, don’t attempt to crop or fade it out. Instead, leave a few seconds of just the noise (no music or other sounds, ONLY the noise) so the mastering engineer can use it as a fingerprint for doing some transparent noise reduction. One thing I see regularly is engineers not leaving a useable noise sample before or after a song. It only takes a fraction of a second to trim off excess time before or after a song in mastering, so you’re really not doing a huge favor by doing this ahead of time. Instead, you’re decreasing the chances of the mastering engineer doing some transparent noise reduction on the heads, tails, or quiet sections of a song. Rather than sharply fading out a noisy/hissy ending, I suggest leaving a few seconds of noise before the song starts or as it ends. You’ll be better off letting the noise/hiss exist on it’s own for a few seconds and asking the mastering engineer to apply appropriate noise reduction with their specialized tools. Without a good sample or fingerprint of only the noise, it’s basically impossible to do noise reduction that doesn’t have a lot of artifacts. I know clients can be impatient and most are used to hearing highly compressed and limited music. To many people, the louder version automatically sounds better. I encourage mix engineers to get exciting and powerful sounding mixes without using limiting on the their master buss/fader. If your client is complaining about your mix not being as slamming as something that’s mastered, ask them to A/B your mix with that material at the same level. Leave the loudness to the mastering engineer. Don’t go down the rabbit hole of trying to make your mixes compete with mastered material or you may have just made yourself the mastering engineer as well. 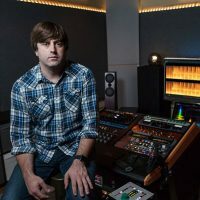 If the client is having a hard time approving mixes without limiting and loudness levels comparable to other mastered material, and you must apply a limiter to your mixes, provide the mastering engineer with both the loud/limited versions the client approved, and versions without any limiting or loudness processing on the master buss/fader. Chances are, your mastering engineer can achieve better results working from the non-limited versions. CD-Text and metadata can also list the songwriter, composer and other details if you’d like, but the three I mentioned are the most important ones. I have a form on my website that goes through all the details needed for a project, but other mastering engineers may need you to provide an email or text file with all the pertinent info. Your mastering engineer will appreciate not having to render and upload new master files because you failed to provide the correct or complete info until the last minute. Think about ISCR codes ahead of time, not at the last minute. Don’t assume the mastering engineer will add/generate ISRC codes for you without request. According to ISRC guidelines, a mix can only have one ISRC code for it’s entire lifetime, so it would be bad practice for a mastering engineer to apply an ISRC code to a song without being asked as that could create a conflict. I offer ISRC code generation as an add-on to my mastering services, but only if specifically requested on my order form. Some clients need or want me to generate codes for them, some already have their own to provide, some don’t care or don’t need them, and some don’t think about it until it’s too late. By too late, I mean that we’ve already sent off the DDP for CD production, and now it’s time for them to set up the digital distribution release, which usually requires an ISRC code. If you don’t have ISRC codes, your digital distributor will provide them for you, but at this time, it could be too late to add them to the CD production master. I used to see this all the time, but now I see it less as I offer ISRC codes from the start, if needed, on my order form. You can’t retroactively add ISRC codes to a CD after it’s duplicated or replicated. If a CD has been manufactured without ISRC codes, it will never have ISRC codes. You would have to wait for the 2nd CD pressing to add them to a new CD production master (DDP or CD-R) before the manufacturing starts again. The importance of having ISRC codes embedded on your CDs in 2015 and beyond is debatable, but the point is to be proactive about ISRC codes. If you or your record company will be providing the ISRC codes, send them to your mastering engineer as soon as possible. If you need your mastering engineer/studio to generate ISRC codes for you, bring it up before getting started, not at the last minute, after the DDP has been sent off for CD production. The same can be said for UPC/EAC (barcode). Avoid using file sharing websites or services that require the mastering engineer to create an account just to access the files, or require downloading each song one at a time. Not only does zipping up a folder of your files add a layer of security/integrity to all the files, it’s so much easier and enjoyable to download one simple zip file rather than each song one at at time. Avoid generic folder and file names such as “for mastering” or “final mixes”. 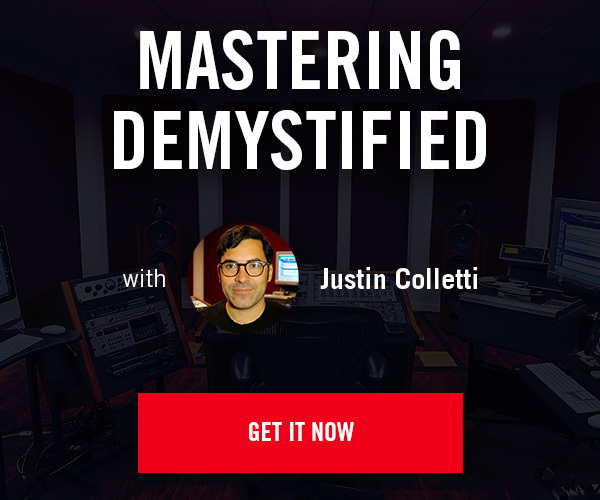 Your mastering engineer likely gets dozens of files a week “for mastering”, so add some useful info to the file or folder name like artist name, release title, a date code, version number etc. Check to see if your mastering engineer has their own file delivery method or preference for receiving the files. I can’t tell you how many times I’ve heard from a client about a problem with their mastering, only to find that the problem was caused by a setting in their iTunes software. I now send all masters to clients as a DDP image with an easy to use HOFA DDP Player embedded, so they can listen to their master using software that won’t screw things up like iTunes can. With neutral settings and the output level turned all the way up (relying on your computer or device “volume” control), iTunes can sound good, but iTunes also leaves too much room for user induced playback problems. If you must use iTunes to approve a master, make sure you don’t have anything active that is changing the sound like an EQ or Sound Enhancer. If you must burn a CD-R from iTunes, make sure the burn setting does not add any extra time between songs. If you’re picky about spacing between songs, or if your project needs some very specific transitions or crossfades between songs, provide ONE continuous reference file of the entire album/project demonstrating how you’d like the songs to flow. The reference file can be an mp3, because it won’t be used for the actual mastering. It will only be used as a map or template on how to arrange the songs. I recently had a client ask me who will determine the spacing between songs: me or the CD manufacturer. I thought it went without saying that the master must been 100% perfect in every way before sending off to the CD manufacturer (as a DDP image or CD-R master) but I guess it’s not, so here’s your warning. Song spacing and titles are part of the mastering process. If something isn’t right, say something before approving the master. Video content is easier than ever to create and distribute. If you think you’ll be making videos for any of your songs, request 24-bit/48k sample rate WAV masters from your mastering engineer. This should prevent your video editor from having to convert audio files before loading into their video editing session. Bad things can happen if you leave the sample rate conversion up to the video editor. If your mastering engineer is competent and knows that you need 48k WAV files for video, he or she should be able to provide master files that will already be ready for video without additional conversion. On a similar note, if you plan on needing instrumental masters of your songs, provide the instrumental mixes at the same time as the main mastering session. Providing the instrumental mixes at the same time as the full mixes will make things easier, and ensures continuity between the normal masters and the instrumental masters. Especially true if your mastering engineer uses analog equipment. If I receive instrumental masters weeks or months after mastering the full album, it’s a lot more work (and cost to the client) compared to doing the instrumental masters at the same time as the initial mastering. Sometimes I’ll get a note from a client explaining a problem or concern in a mastered song. It’s so much easier to find and address problems and concerns if you provide precise times. Instead of saying, “Something sounds weird near the end of the 2nd pre-chorus”, say this: “From 2:05 to 2:07 on Track 4 (or use the song name), I hear a strange sound, can you look into it?” To me, that is so much easier to discern. Due to the nature of the process, the mastering engineer may not be as intimate with the arrangements of every song on your album or project, but providing precise items ensures that everybody is referring to the same section of a song quickly and easily. It’s never not annoying to be in the middle of a mastering session (or rare downtime), and I get an email from a client that lost track of their master files from months or years ago. It is my duty and responsibility to maintain a good archive of all the mastering work I do, but it’s not really practical at this time to keep everything I master hosted for download forever. If you don’t have it backed up, you don’t really have it.